The main manufacturing plant, testing and technical centre of the Concentric engines business are all located in Birmingham, UK. A culture of continuous improvement and a rolling investment programme ensure the high levels of productivity and quality, demanded by the world's leading engine manufacturers. Production centres on the more complex, high-end products in the company's range and the factory is approved to TS16949. For every application, Concentric develops prototypes and tests in-house, giving customers the security of knowing that their pump has been honed to work perfectly - first time. Each customer is supported by a cross-functional management team dedicated to meeting every project criteria, from conception to product launch. Once launched, all products are rigorously tested to ensure that the highest standards are maintained. The mission of Concentric in the UK is to deliver reliable quality on time, every time - like all factories within the group. 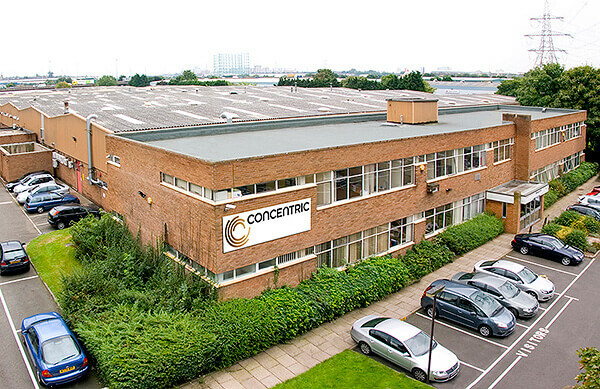 Concentric Birmingham Ltd., Gravelly Park, Tyburn Road, Birmingham B24 8HW, UK. Tel: +44 121 327 2081. Fax: +44 121 327 6187.